In this episode, I interview Leigh-Chantelle from Epicentre Equilibrium, a social media and content creation specialist from Brisbane, Australia. 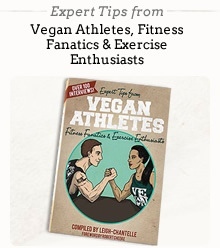 Leigh-Chantelle has run the online vegan community Viva la Vegan! since 2005, bringing positive education, information and vegan outreach to a worldwide audience through her blogs and videos. She’s the author of several books including Expert Tips from Vegan Athletes, Fitness Fanatics & Exercise Enthusiasts; There’s a Vegan in the Kitchen: Viva la Vegan’s Easy and Tasty Plant-Based Recipes and What Do Vegans Eat? She’s also produced three recipe calendars, a plant-based Detox Diet eBook and a collection of other recipe eBooks. For four years she ran the not-for-profit environmental awareness Green Earth Group which put on two successful all-vegan environmental festivals, and many smaller events, in Brisbane. An accredited, although no longer practising, naturopath, nutritionist and western herbalist, speaker and consultant, Leigh-Chantelle brings together her diverse skill set to help small business owners with social media strategy, online marketing and content creation. Katrina has interviewed a HEAP of people. Here's a few of my friends she has interviewed - I suggest you start with these!